First select "Internet Options" from the Tools menu. Make sure that "Internet" is highlighted, by clicking on it once. Then click on the "Custom Level -- Button". 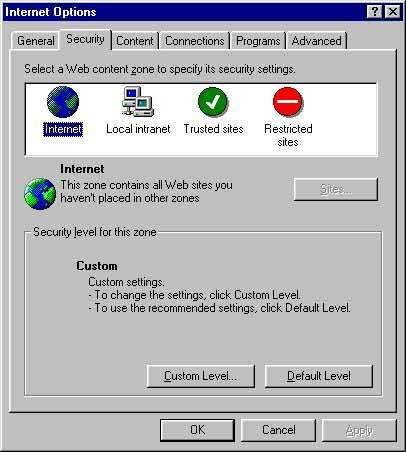 This will bring up the security settings window shown below. 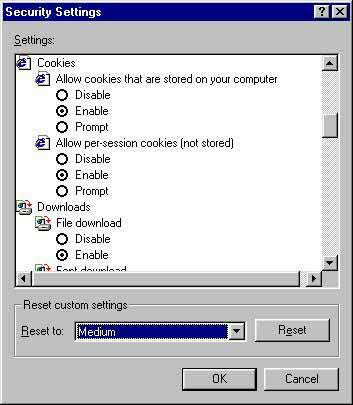 Make sure the "Enable" is selected under the "Allow per-session cookies"
Cookies will now be enabled and you can continue.